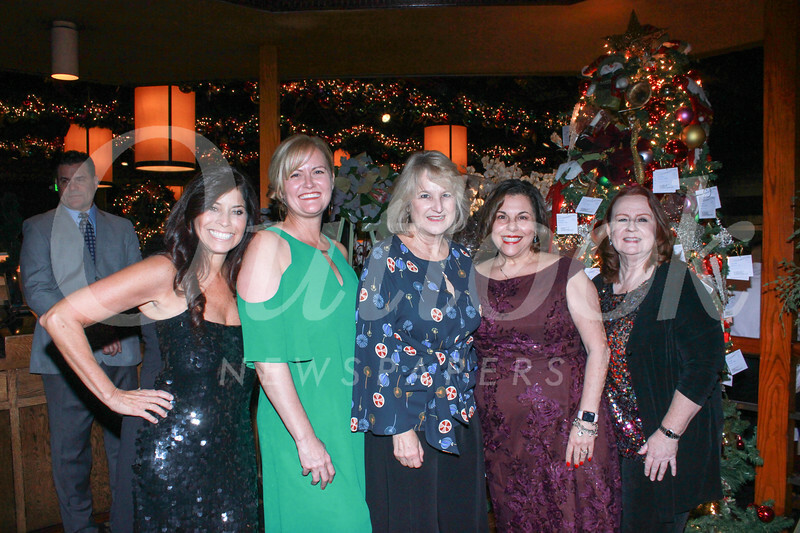 The Pasadena-Foothills Association of Realtors Charitable Foundation’s 27th annual Wreath Auction, held recently at Parkway Grill, was an overwhelming success. Nearly 150 guests enjoyed a delicious dinner and drinks and also participated in a spirited live auction, which included beautiful wreaths as well as vacation getaways, special group dinners and opportunities to attend live entertainment events. It was one of the most financially successful and most beautiful Wreath Auctions in three decades. Proceeds will benefit local nonprofit organizations. Chelby Crawford and Matt McIntyre co-chaired the event. Kelley Brock and Michelle McConville were the live auction’s vice chairs and Hope de la Rosa was the silent auction’s vice chair. Committee members were Kal Antoun, Deborah Maxson, Pamela McSweeny, Erik Okland, Hazel Perera, Terry Shelton, Jaime Stoney and Shelley Wingate. Nick Cacarnakis, Mark Ogden and Marilyn Simon served as auctioneers. Emilie Broughton is PFAR’s president; Carla Dane is the organization’s CEO.